Reflections on a personal journey towards sincere faith. 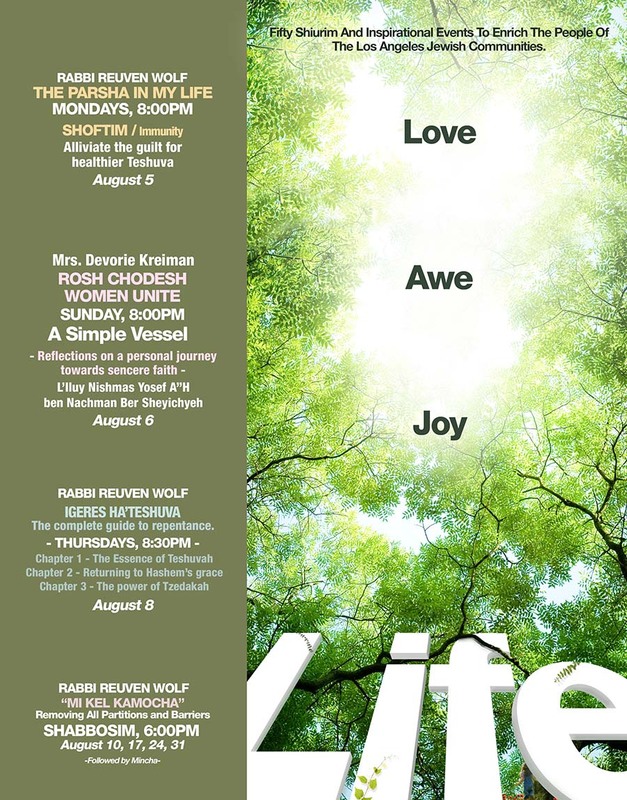 A Rosh Chodesh Women Unite Event featuring Mrs. Devorie Kreiman. The Elul LIFE Program is back! Here’s what’s happening next week.